BETHLEHEM, Israel– Pope Francis visited Israel for the first time, on both a religious and political journey. His first stop was at a refugee camp near Bethlehem, where the Pope met with a group of children and gave them a blessing. Israel is no stranger to suffering, and the Pope will not attempt to fix everything, but he will work to improve relations among Christians, Muslims and Jews. The Middle East, although in a seemingly constant state of tension, is a technology and start-up powerhouse, with influence in global health research, solar energy, agriculture and technology. Safety and peace in the region would allow more focus on these areas, thus increasing the economy and creating more jobs. 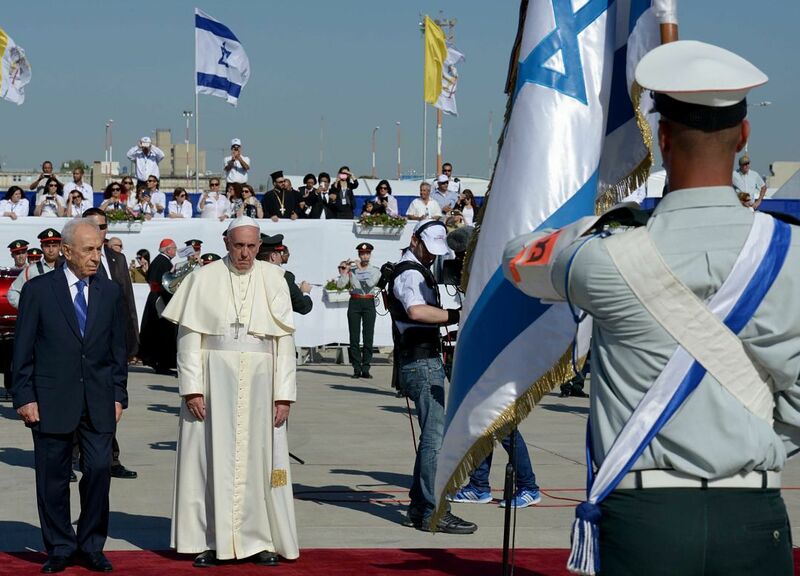 The Pope’s visit to Israel is a small part toward establishing peace in that country. As with the two popes who previously visited Bethlehem, the refugee children shared the atrocities facing Palestinians, comparing it to the suffering of Jesus. Pope Francis noticed the comparison of suffering, including images of the displacement of Palestinians merged with images of the suffering of Jesus, throughout his drive in Bethlehem. While in the West Bank, the Pope’s itinerary included meeting with “the president of the state of Palestine,” Mahmoud Abbas. With his affirmation of Palestine as a state, the Pope is also affirming his belief that the region can accomplish peace and understanding. The official purpose of the Pope’s visit may be to commemorate the 50th anniversary of the meeting between Pope Paul VI and the ecumenical patriarch of Constantinople, Patriarch Athenagoras, but the Pope has other plans as well, including restoring the Christian faith in the region. Christianity is in decline throughout the Middle East, falling from 20 percent of the population about a century ago to just 4 percent today. In Bethlehem, the Christian population has gone from 60 percent in 1990 to 15 percent today. Catholic leaders, including the Pope, fear that the area is at risk of becoming devoid of local believers. The Christians who remain in the Middle East face attacks by Muslim and Jewish extremists. The Pope’s visit to Israel coincided with a time when peace talks had broken down and the threat looms of Fatah and Hamas reconciling and creating a unified Palestinian government. Pope Francis invited President Mahmoud Abbas and President Shimon Peres to join in a prayer for peace and encouraged them to continue peace talks. Pope Francis offered the Vatican as a platform in which to hold peace talks between the two leaders. He also invited Israel’s Prime Minister, Benjamin Netanyahu. The Pope called for recognition of both an Israeli state and a Palestinian state, reinforcing the Vatican’s stance on a two state solution. Pope Francis broke a precedent by including a Jew and a Muslim in his delegation, promoting co-existence in the Middle East. He also did not choose the luxury of an armored and bullet-proof car in which to travel, which the previous popes had. The previous popes who visited also treaded lightly on political issues, but Pope Francis adamantly backs up the Vatican’s agreement with the United Nations declaration in 2012 that Palestine is a member state.